This is the first website for researching the origin and meaning of the Jewish surnames and finding relatives in Argentina. Watching this site is the first step on your research and the main center of resources to find relatives and build your family tree. Welcome to the fascinating world of the Jewish Surnames history. This website was conceived as a center to share the knowledge that each family has about the origin and meaning of its own Jewish surname. Anyone is allowed to post his knowledge and tradition. It is NOT our intention to be a scientific or academic website, but a place to express and discuss the familiar traditions that tells the origin and meaning of surnames and probably to find distant relatives. This website is basically a discussion forum, with more than 55,000 threads. Each thread is a particular Jewish surname. Anyone can post a comment for the different surnames. The Moderator will verify each post to keep the order and to preserve the only rule which is to respect each other. 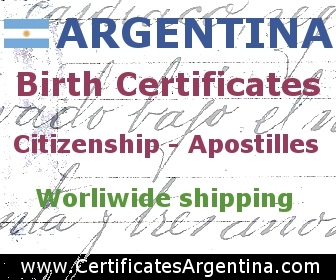 We have recently added the usefulness of consulting the database of immigrants to Argentina, burial records in the cemeteries of Buenos Aires and inland, census of Jewish agricultural colonies, Italian Jewish surnames, Jewish obituaries, passenger lists, Jewish marriages, Buenos Aires Jewish Directories and others. 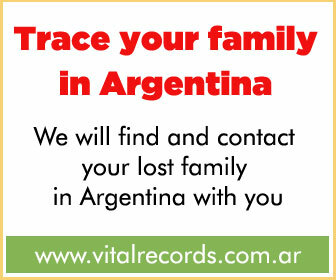 Through these amazing databases you will surely find relatives who have emigrated to Argentina.